does a second screw increase the fusion rate? Objective: To evaluate whether there is a difference in the fusion rates of subtalar arthrodesis using one or two compression screws. 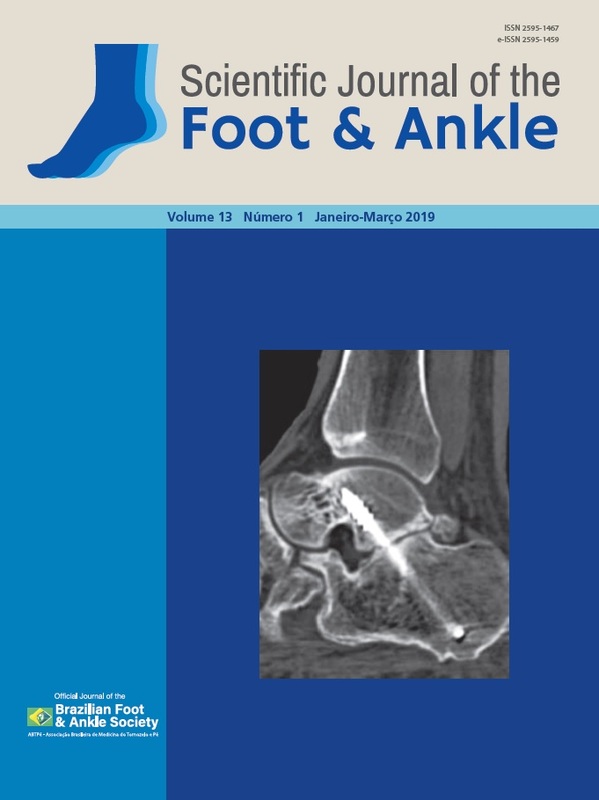 Methods: A retrospective study evaluated the fusion rate of patients subjected to subtalar arthrodesis between January 2012 and December 2016. Fusion was determined clinically using radiographs and, in the case of doubt, computed tomography. Results: The final sample consisted of 80 patients, 78.8% of whom were male, and the mean final evaluation time was 23.27 months. Subtalar arthrosis due to a calcaneal fracture was the etiologic factor in 95% of the patients. The group subjected to arthrodesis with one screw represented 68.75% of the patients, and the group with two screws represented 31.25% of the patients. The incidence of nonfusion was 10.9% in the group where one screw was used against 4.0% in the group where two screws were used, without statistical significance (p-value = 0.425). Conclusion: The use of a second screw did not improve the fusion rates of subtalar arthrodesis. Level of Evidence III; Therapeutic Studies; Retrospective Comparative Studies.